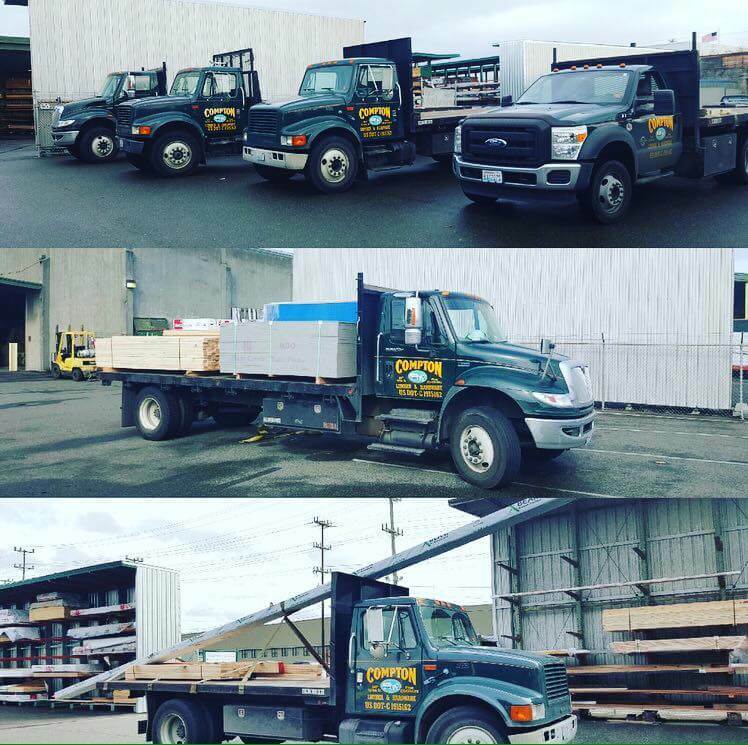 Compton Lumber & Hardware has a fleet of flatbed lumber trucks which can bring your order directly to your house or business. We have trucks with beds that tilt so if your order is such where it can be off loaded in a dump fashion, we can accommodate! We serve the Greater Puget Sound area with our own vehicles. If you are outside our delivery service area, we work with various local freight carriers, in addition to UPS and FedEx, and can get you a quote on shipping your material to you via an alternate carrier.